Now with new-fangled photography that will raise goose bumps on your skin like magic! I know many of you already have the original but the new version features photography by my talented and wonderful son, Jake. If you want to pick up a Kindle copy, follow the link below. Buying today, if you plan to buy, will help me greatly with positioning the book for exposure on Amazon. The print copy should be popping up any minute now but I don't have a link yet. If this book is not your cup of tea but you know someone who likes scary stories, send them on down! And if you're on FB and don't mind liking or sharing a post about the book, I'd be mighty grateful! "Cleopatra's Needle beautifully uses the immigrant experience in a younger, and eerier, America to show that the only thing surer than love is the human potential for cruelty and exploitation. I don't know how long Carole Lanham has been writing seriously, but these early works of hers have only convinced me that, as a storyteller, she emerged fully formed into excellence." "Where atmosphere is concerned Carole Lanham won't take bull from anybody. Cleopatra's Needle is full of action that feeds on the atmosphere, and of atmosphere that propels the action. In fact, in spite of its novella length, it contains far more action than many full-length novels and still manages to ooze mood from every line." 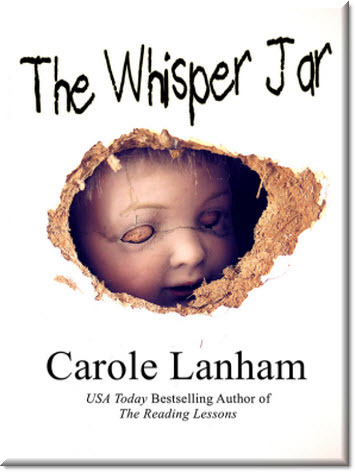 "Carole Lanham has a wonderful style of writing. Definitely a literary feel, but she’s not over the top with it. As with “The Reading Lessons” it’s just the perfect blend of writing that clearly lifts it above and beyond many contemporary authors. “Cleopatra’s Needle” is a super fast page turner, very enjoyable. It has an old familiar feel to it, yet also a fresh newness. I highly recommend it. I loved it."